Increasingly, mental health professionals are providing counseling services to military families. Military parents often struggle with child-rearing issues and experience difficulty meeting the fundamental needs for trust and safety among their children because they are consumed with stress and their own needs. Within this article, military family dynamics are discussed and parenting styles, namely coercive, pampering or permissive and respectful leadership, are explored. The authors conclude by highlighting counseling interventions that may be effective for working with military parents and families. In the worldwide community it is not well known that counseling and guidance professional practices have a long tradition in Venezuela. Therefore, this contribution’s main purpose is to inform the international audience about past and contemporary counseling in Venezuela. Geographic, demographic, and cultural facts about Venezuela are provided. How counseling began, its early development, and pioneer counselors are discussed. 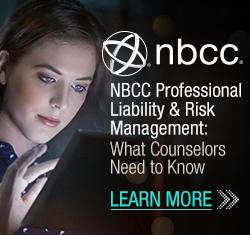 The evolution of counseling from an education-based activity to counseling as a technique-driven intervention is given in an historical account. 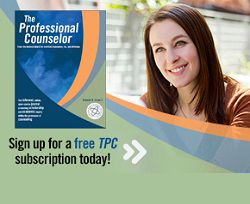 How a vision of counselors as technicians moved to the notion of counseling as a profession is explained by describing turning points, events, and governmental decisions. Current trends on Venezuelan state policy regarding counselor training, services, and professional status are specified by briefly describing the National Counseling System Project and the National Flag Counseling Training Project. Finally, acknowledgement of Venezuela’s counseling pioneers and one of the oldest counseling training programs in Venezuela is described. A personal description of the international counselor education program at the University of Zulia in Venezuela is presented including educational objectives of the counseling degree, various services counselors are trained to provide, and a sample curriculum. This description serves as an example of one international counselor education program that can be used as a model for burgeoning programs in other countries. Social distance towards adults with mental illness was explored among mental health and non-mental health trainees and professionals. Results suggested mental health trainees and professionals desired less social distance than non-mental health trainees and professionals, and that women desired less social distance than men, with male non-professionals demonstrating the greatest desire for social distance to individuals diagnosed with mental illness. Social distance also is related to attitudes towards adults with mental illness. Implications of such findings are presented. Adolescents defined as at-risk typically lack healthy models of parenting and receive no parenthood education prior to assuming the parenting role. Unless a proactive approach is implemented, the cyclic pattern of dysfunctional parenting— including higher rates of teen pregnancy, increased childhood abuse, low educational attainment, intergenerational poverty, and lack of steady employment—will continue. Parenthood education seeks to remediate this recurring cycle with at-risk youth before they become parents. Eighty-two alternative school students, grades 7 through 12, were randomly assigned to either an experimental or control group. After the experimental group completed a 16-session parenthood education program, differences between the two groups were tested using two measures: the Self-Efficacy Scale and the Parent Effectiveness Measure. Two-way ANOVA analyses showed statistical significance between the primary caregivers in the experimental and control group on the social self-efficacy and parent effectiveness measures. Implications and suggestions for further research are discussed. 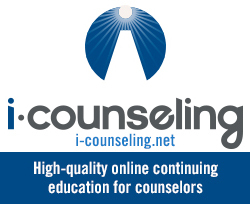 Recently, many counselor education programs have considered whether and how to offer courses online. Although online counselor education courses are becoming increasingly common, the use of synchronous (real-time) teaching approaches appears to be limited at best. In this article, we provide a context and rationale for incorporating online synchronous learning experiences, discuss the use of simple technologies to create meaningful educational experiences, and present one model for combining synchronous and asynchronous instructional approaches online. We also share our perspectives on the contributions of synchronous learning components, reflect on student and instructor experiences, and discuss issues to be considered in developing online counselor education courses. Despite increasing awareness, the childhood disorder of selective mutism is under-researched and commonly misdiagnosed. The purpose of this article is to highlight current issues related to this disorder as well as describe various treatment approaches including behavioral, cognitive-behavioral, psychodynamic, family, and pharmacological interventions. Suggestions for counselors working with children with selective mutism and implications for future research are offered.